Beyoncé and Jay-Z's twins are getting so big! The 37-year-old singer posted on her website on Thursday new photos from her recent trip to South Asia, including pics of the couple's 1 and 1/2-year-old son Sir Carter and daughter Rumi Carter, their second and third child. In one photo, Beyoncé is seen laughing and holding Rumi on a sandy shore as her daughter holds up what appears to be a colorful shell. In another pic, both twins sit in shallow water on a beach, facing the sea. Beyoncé had earlier this month traveled to India to perform at a pre-wedding event for Isha Ambani, the daughter of India's richest man, Reliance Industries Chairman Mukesh Ambani, and Anand Piramal, the son of Piramal Group's billionaire chairman Ajay Piramal, and Anand Piramal. Onstage, the singer showcased many dazzling looks onstage, such as a plunging red and gold studded dress with a high slit, paired with a traditional Indian headpiece and matching Anita Dongre jewelry, and an Abu Jani Sandeep Khosla gold fringed leotard and gold thigh-high boots. She posted new photos from the event on her website on Thursday, as well as other pics of her wearing colorful, traditional Indian outfits. 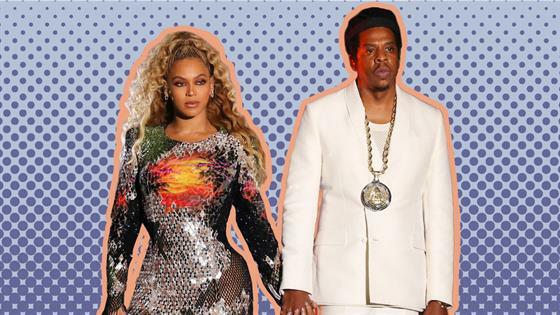 Beyoncé rarely shares photos of her twins or daughter Blue Ivy Carter, 6, although she and Jay-Z have started to bring their eldest child to celebrity events more often. In July, the Beyoncé posted photos of her and Jay-Z with Rumi and Sir on a yacht trip, taken during a break from the European leg of their On the Run II tour.